The fair continues with a tractor and truck pull Friday night and a demolition derby Saturday night. FARMINGTON — Exhibits from birds to needle crafts drew attention Thursday as seniors toured the 177th annual exhibition at the Farmington Fair. A sunny sky prompted more attendance on Thursday’s Senior Day than on Tuesday’s, according to Neal Yeaton, fair secretary. 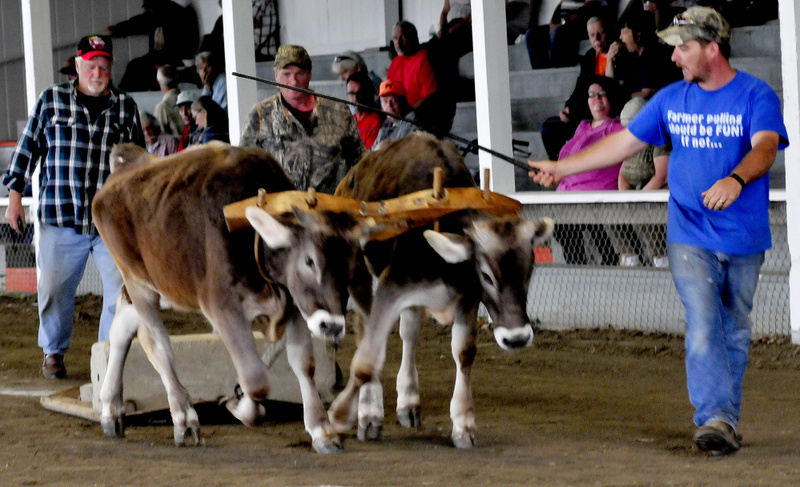 The fair continues with a tractor and truck pull Friday night. A demolition derby takes place Saturday night. Click here for more information from the fair website. The price of admission to the Farmington Fair for ages 12 and up is $8; ages 8-11, $4; ages 7 and under, free. One new exhibit features combined photos, uniforms and paraphernalia of the Farmington Police Department and Farmington Fire and Rescue. “It is drawing a lot of attention,” said Glenda Barker, exhibition hall superintendent. Barker had an empty spot in the hall and heard the Fire Department had some historical pieces. Two weeks before the fair, she saw Fire Chief Terry Bell in a local store and asked if his department would consider a display. Bell thought it would be fun, she said. 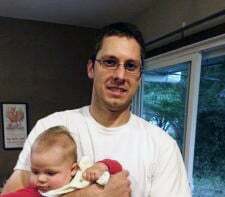 He also contacted police Chief Jack Peck, who quickly agreed to participate and set about finding old photos, patches and even an early speed detector for the display. Several officers and their wives helped set up the display with some help from Don DeRoche, he said. Patty Cormier and Clyde Ross did most of the work for the Fire Department, Bell said. Part of the display, a collection of small firetrucks, was donated to the department by former Town Manager John Edgerly, Bell said. Another popular exhibit that has grown and attracted fairgoers throughout the week is the Poultry Show. About 400 birds, from turkeys to pigeons, are on display, Tom Nelson said as he staffed the barn exhibit. Some people came through recalling their childhood and birds they have grown, he said. “Chickens are the new pet,” he said. The trend of raising chickens started on the West Coast, he said. Many towns allow a homeowner to keep up to six birds. They are easy to buy and produce eggs. “Six chickens produce about 30 eggs a week, once they start laying,” he said. They love a routine and can easily be taught to come for a treat. They can fertilize your garden and also eat bugs, including Japanese beetles and ticks. If they are well maintained, there is little odor or noise. The most sound comes when a chicken is laying an egg and starts to sing, he said. 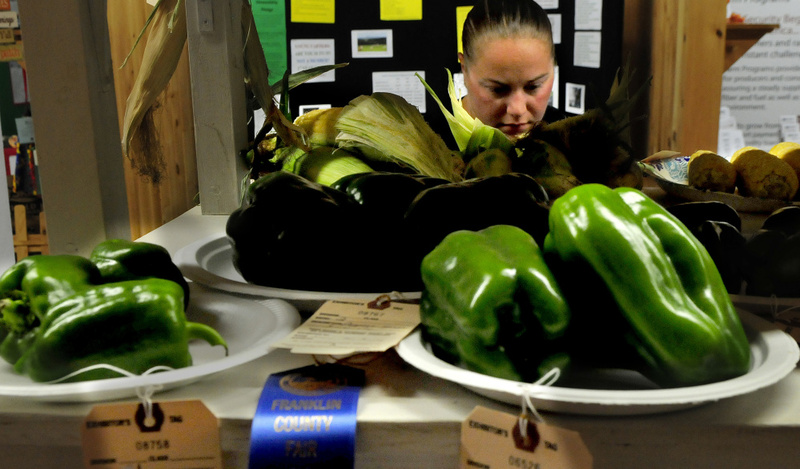 The Farmington show is one of the larger ones, among the fairs. A judge at Sunday’s 4-H Bird Show said the quality of the birds has improved. He said there are some avid breeders or fanciers, as they are called, who participate. This show is open to people of all ages and from all around Maine. Historical displays in the museum along with displays in the Red Schoolhouse and the blacksmith shop and in front of the yet-unopened New Sharon Library also drew attention from fairgoers Thursday. One horse race on Saturday afternoon has a $7,500 purse and is sponsored by Hartt Trucking, Yeaton said. Some purses, which go to the racer, run from $3,200 up to $10,000, he said.